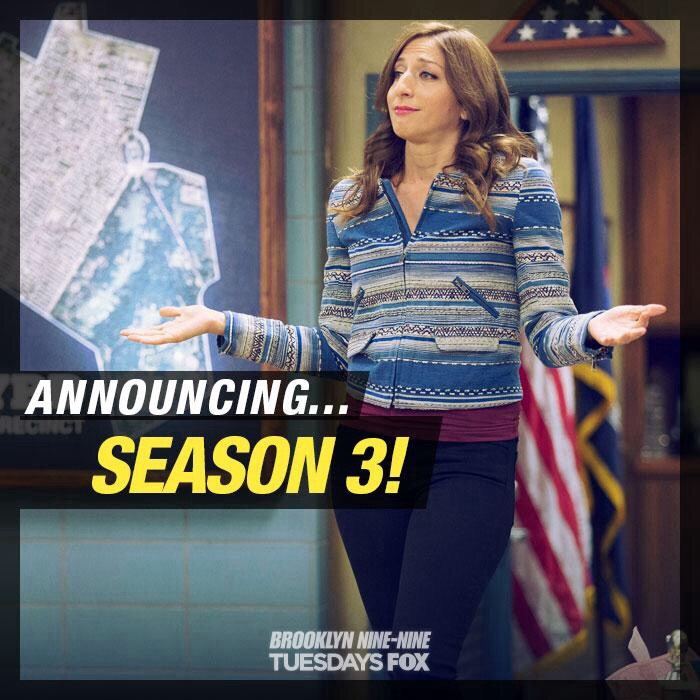 Announcing...Season 3. . Wallpaper and background images in the Brooklyn Nine-Nine club tagged: photo gina brooklyn nine-nine season 3. This Brooklyn Nine-Nine photo contains 看板, ポスター, テキスト, 黒板, and サイン. There might also be hip boot and thigh boot.